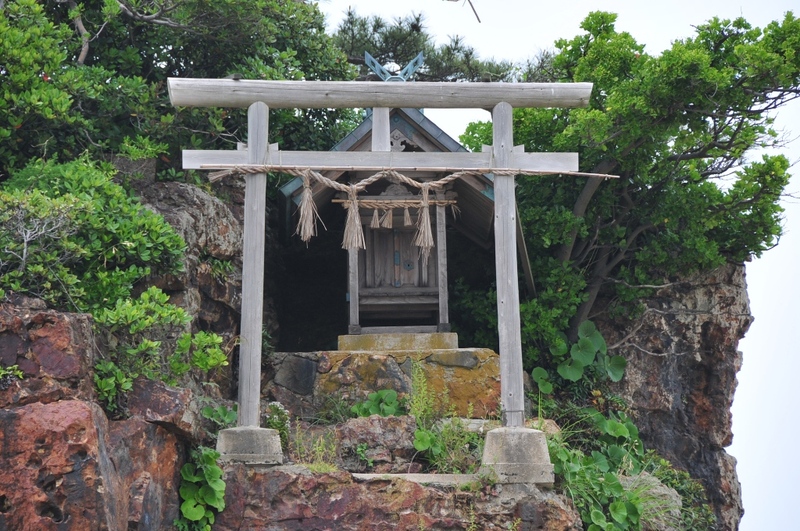 The rope that the God Yatsukamizuomizunu used in the Kunibiki land pulling legend is said to have turned into the sandy Inasa Beach. 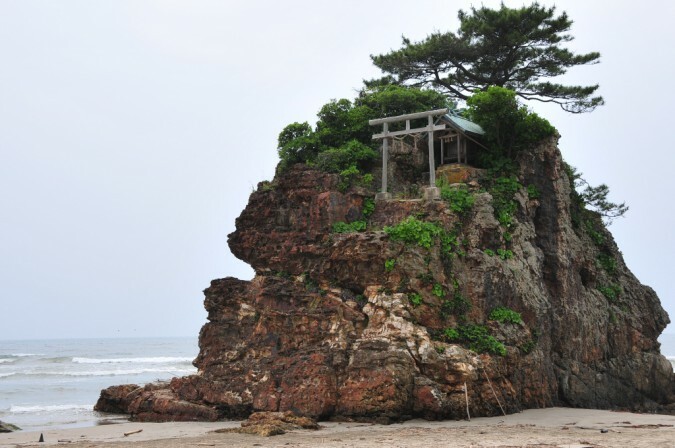 The beach and shrine are in the Western part of the Izumo peninsula, and boast fantastic sunsets. The shrine perched on the large rock on the beach is called Benten-Jima, and it is dedicated to Toyotamabime, the daughter of Wadazumi, the God of the sea, and is said to protect seafarers. On the evening of October 10th every year, the Gods from around Japan descend on Izumo, and a ritual is held on the beach at the shrine. Getting There: A 20 minute walk from Izumo Taisha-mae Station. 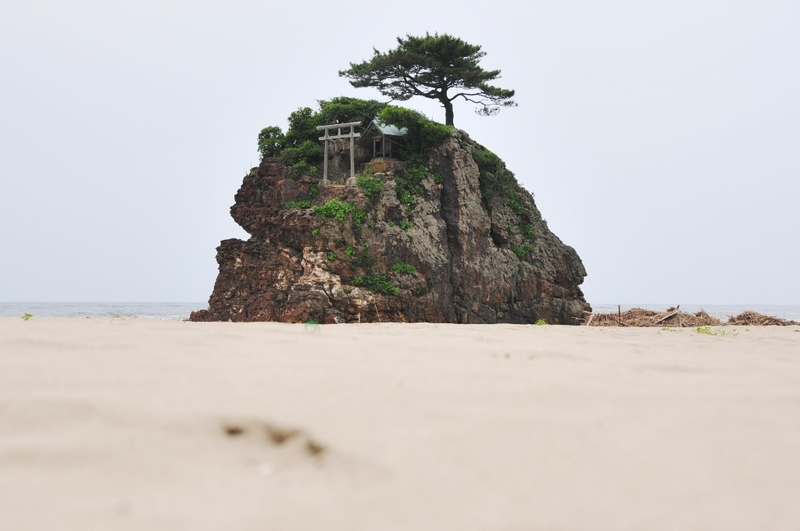 A 10 minute walk from Izumo Taisha.